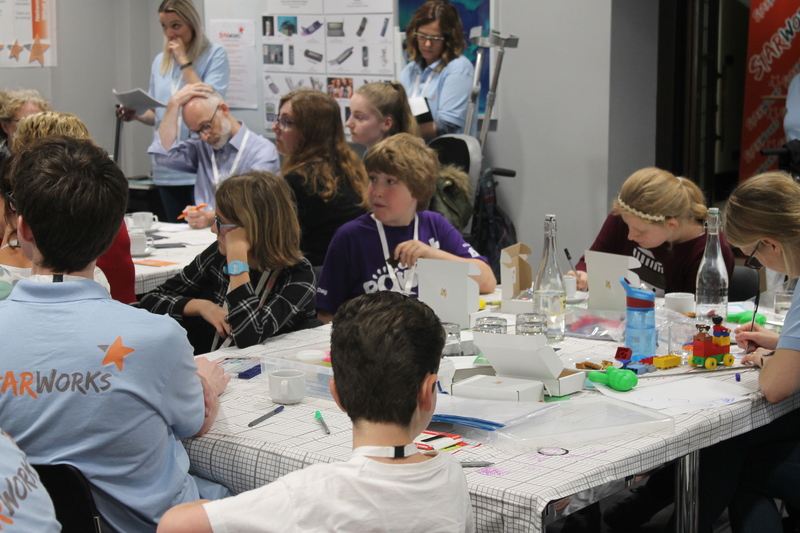 We are a young people’s prosthetics research collaboration who bring children and their families together with key opinion leaders from the NHS, Industry, Clinical Academia and leading National Research Centres with capabilities in child prosthetics. Department of Health funding has allowed us to build a collaboration which aims to increase research across the system in order to accelerate the translation of new inventions and developments in child prosthetics into everyday use. 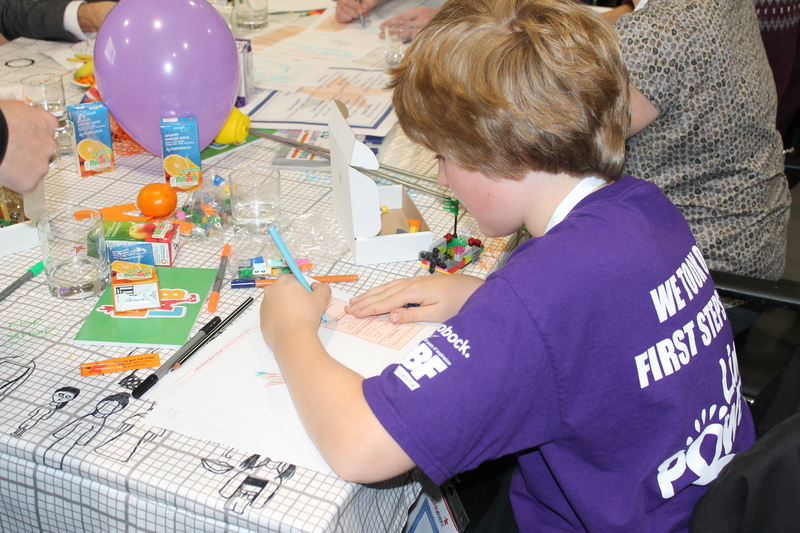 This initiative is centred on the needs of children and their families as well as the NHS and will ensure there is the ideal balance of ‘clinical pull’ and ‘technical push’ to create an energetic environment in which to innovate and to partner with industry. 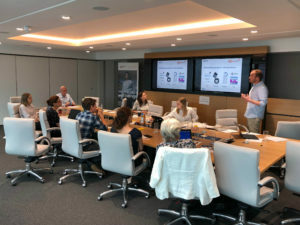 To bring these diverse stakeholder groups together, we engaged in an in-depth needs assessment followed by a series of creative, collaborative ‘sandpit’ events, culminating in a call for applications to ‘proof of concept’ funding to develop new and innovative ideas, as described below. Keep checking back for the latest updates and opportunities to get involved! Children and Families - we need your help! Some of our Proof of Concept projects would love your feedback on their work so far. 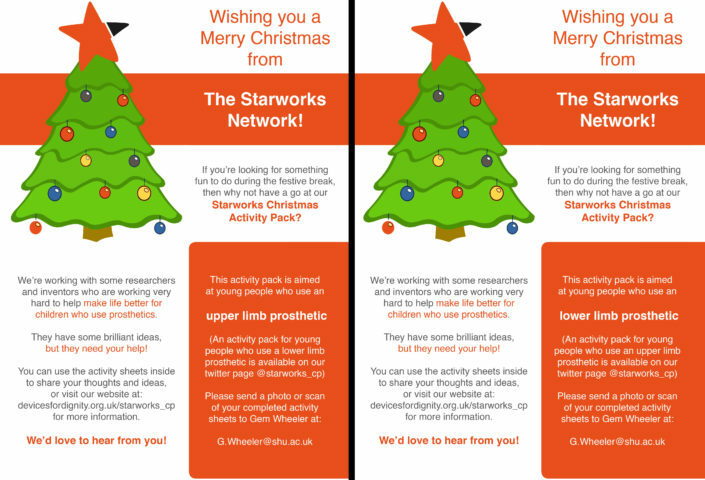 If you’d like to share your expert knowledge and experience, email Gem Wheeler (G.Wheeler@shu.ac.uk) for your very own Starworks Activity pack. We can’t wait to hear from you! 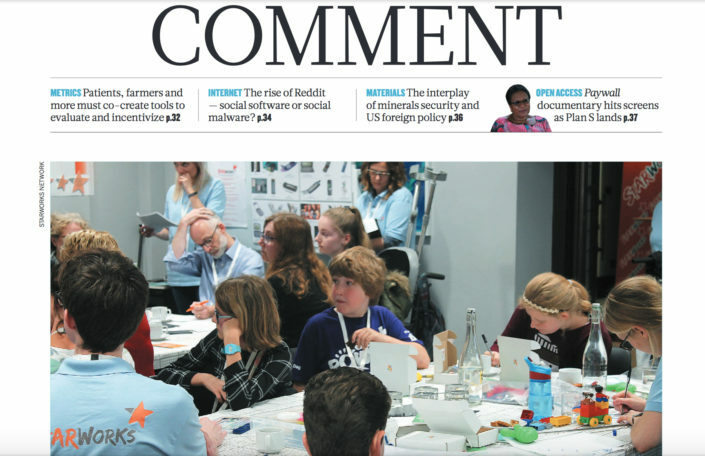 Many thanks to Gary Hickey, of INVOLVE, for discussing The Starworks Project as an key example of co-production in his recent article for the Nature journal. Visit https://tinyurl.com/Starworks-Nature for the full text. Limbpower Fundamental Skills Day 2018! 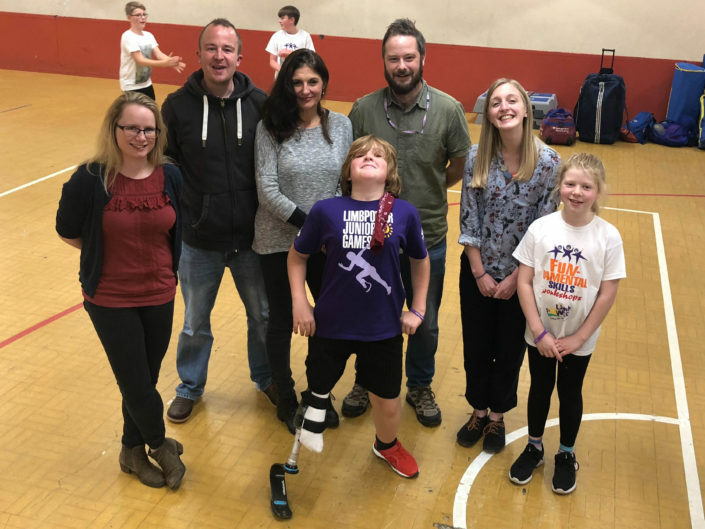 We had a great time at the Limbpower’s recent event teaching children key skills for sport and activity using their prosthetic limbs. 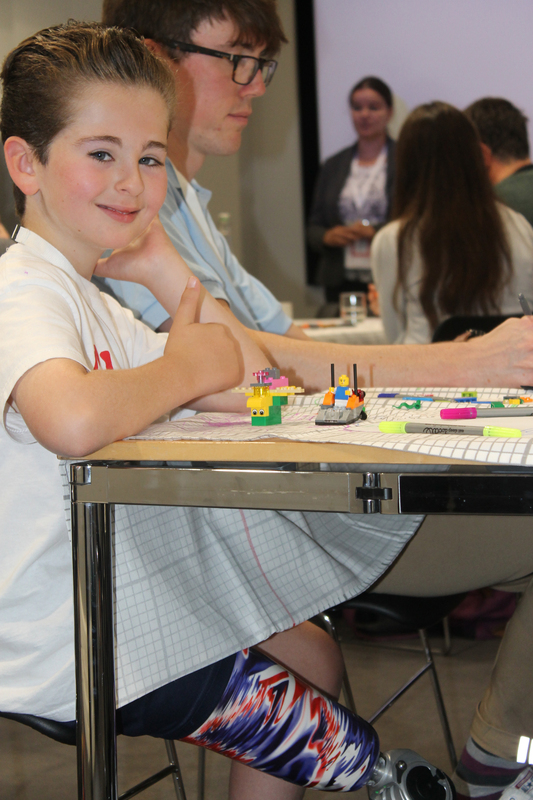 Great to be joined by some of the Starworks Proof of Concept projects too, getting vital feedback from children and families! 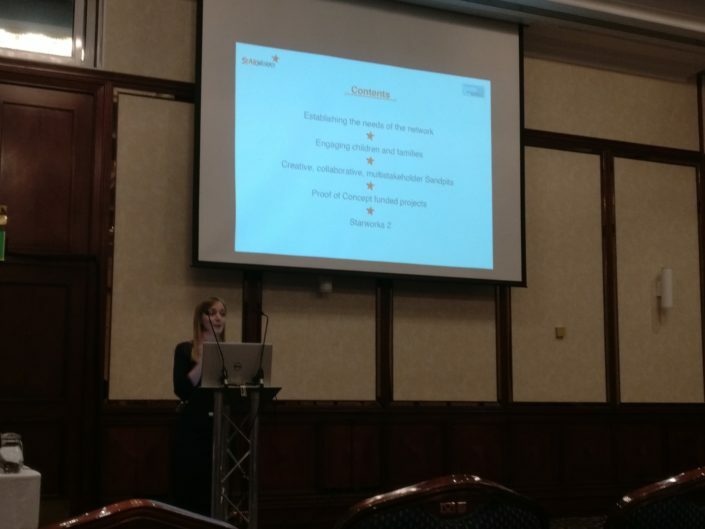 Many thanks to the ISPO committee for inviting us to talk about The Starwork Project at their Annual Scientific meeting. It was wonderful to meet so many people dedicated to improving the lives of people who use prosthetics! 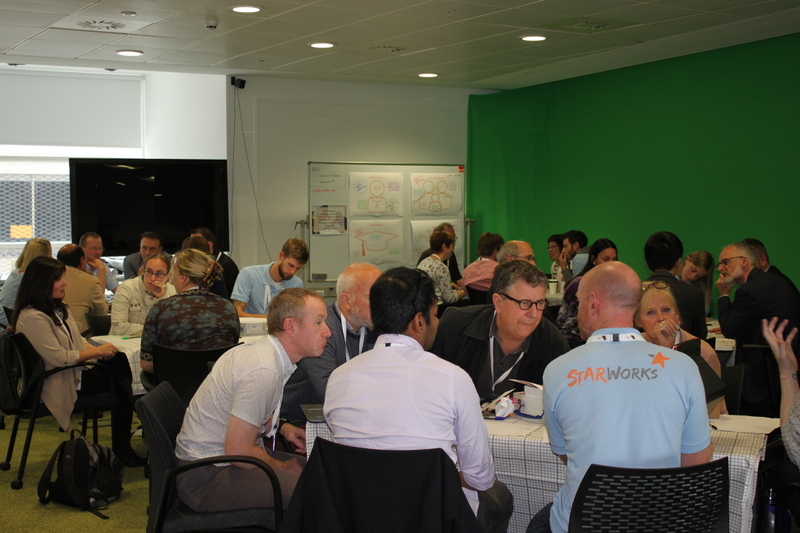 We’re very busy here at Starworks HQ planning our Celebration event – keep checking back for further details! 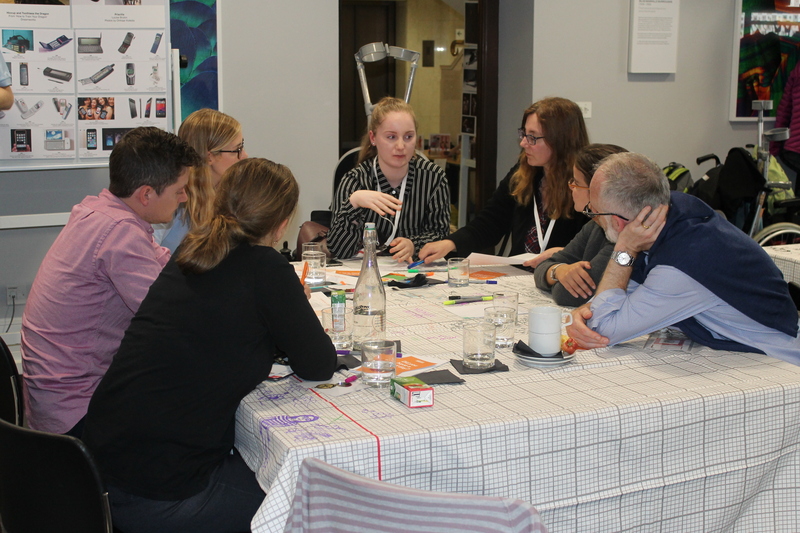 Devices for Dignity teamed up with Design Researchers from Sheffield Hallam University to engage children and families to tell us about their priorities and needs for child prosthetics development. 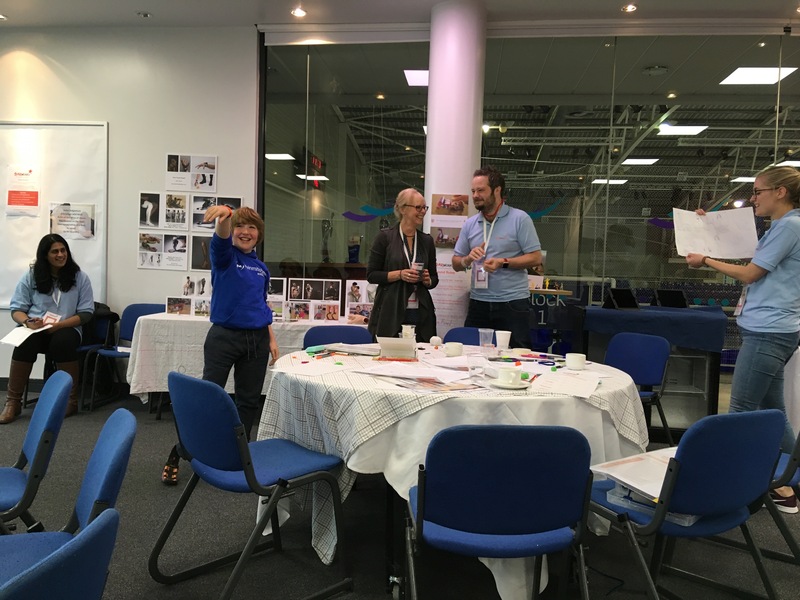 With a focus on creative ways of sharing experiences, we ran several workshops across the country as well as developing bespoke questionnaires for children, young adults and parents. Thank you to all the children, mums and dads, brothers and sisters who supported our Sandpit events during September and October. 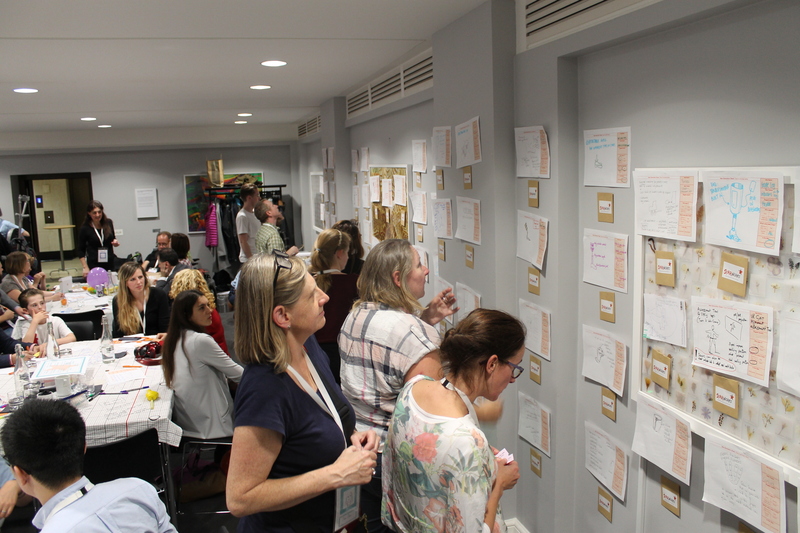 Each event had a different theme and unique buzz within the room, and many different outcomes and ideas emerged as a result. An illustration depicting the need to bring children and their families together with clinicians, academics and industry experts. 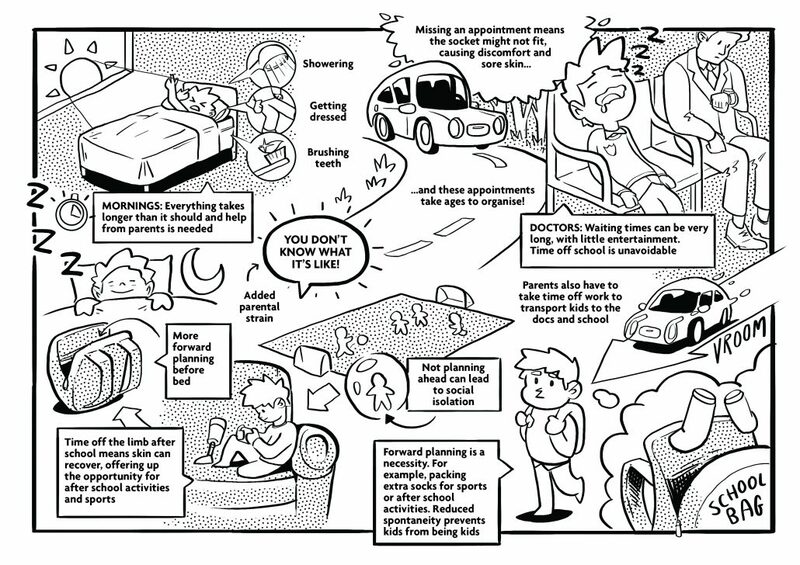 An illustration to highlight some of the challenges children who use prosthetics (and their families) face in daily life. Thank you to everyone that took the time to put in an application to the Starworks funding call. 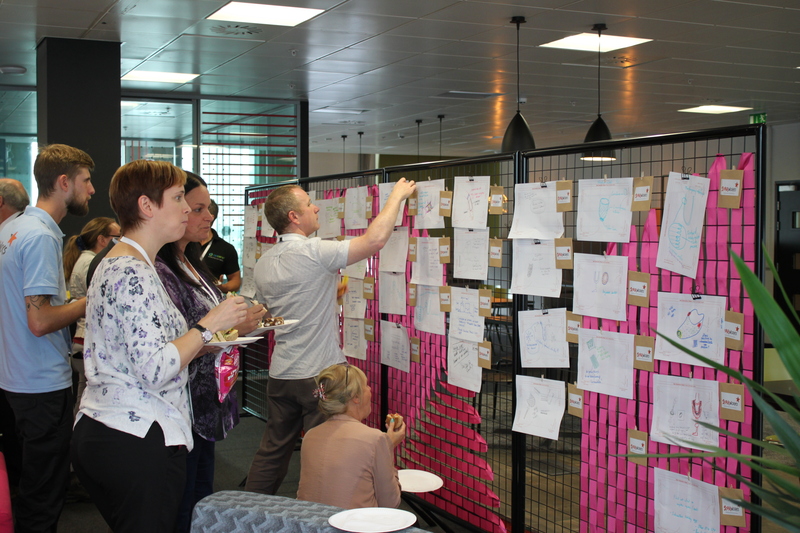 The quality and range of applications was fantastic, and our expert assessors chose ten projects to take forward. You can read more about the successful applications and contact them here. 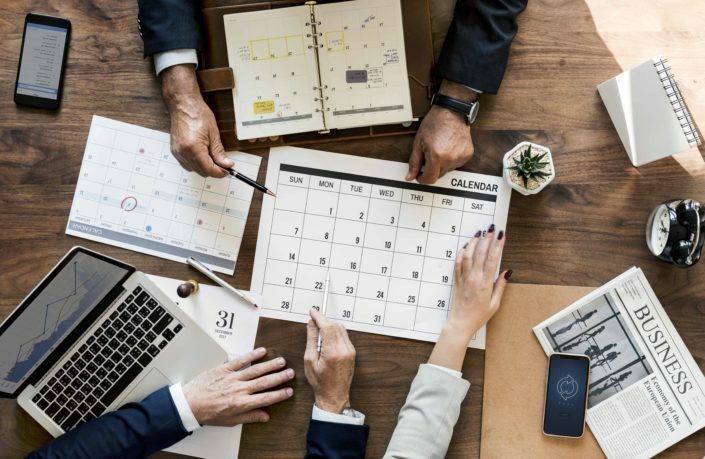 The Starworks team have been working with the funded projects throughout 2018, advising on areas such as regulator issues, ethical considerations and engagement with children and families. 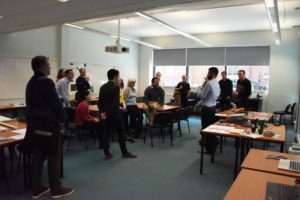 In line with our collaborative approach, a key part of this support has also been to bring the projects together in two Industry Forum meetings, facilitated by funding from the University of Sheffield. These meetings created a space for the projects to share not only their progress so far, but also the challenges they have faced and strategies for addressing them. 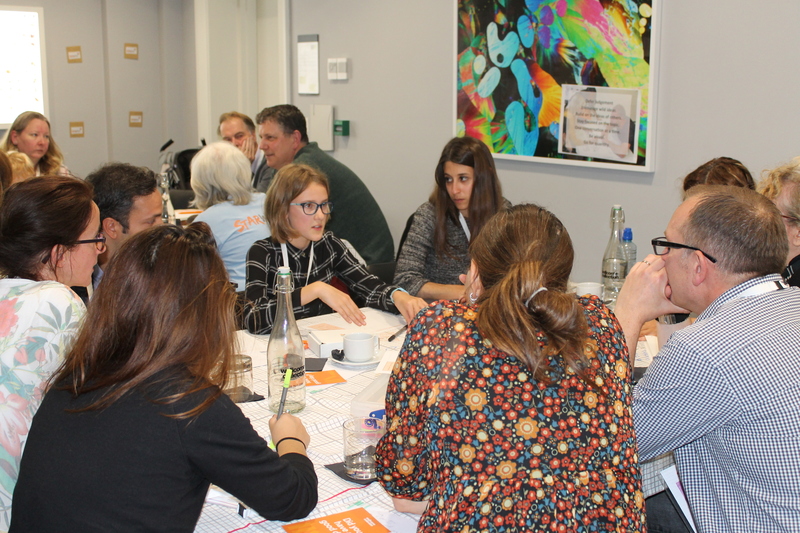 We feel that a strong Network approach is crucial to navigating potential barriers to innovation in this emerging area of research within Child Prosthetics. Encouraging industry and clinicians to continue to identify new areas of need and areas for development; an on-going mechanism is required to maintain an updated system of validated unmet needs. 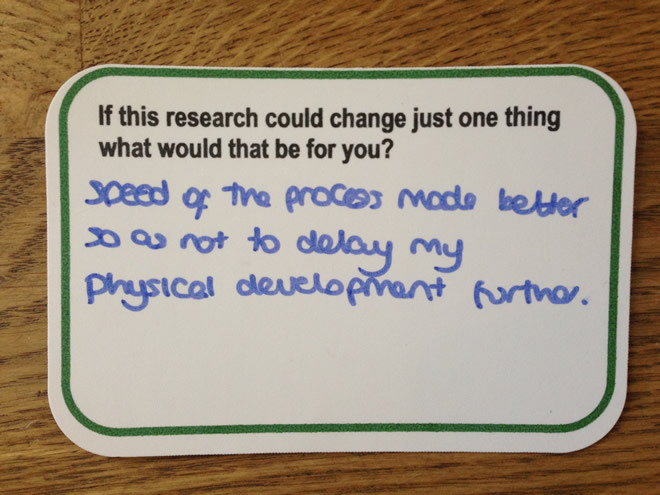 And much more… watch this space! 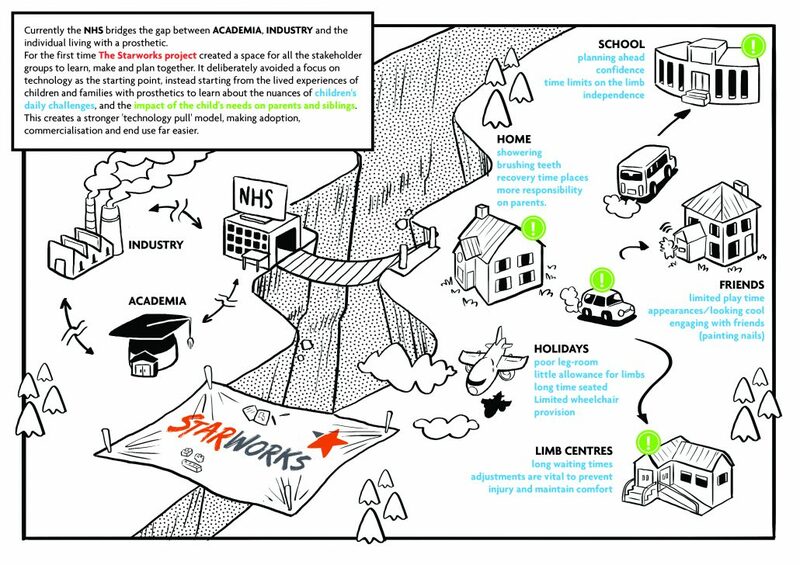 D4D would like to thank all stakeholders who have collaborated with us on the Starworks project to date. Every one of them has a clear passion and drive to improve day to day living for children with a prosthetic. Therefore it is clear that our network approach which shares and encourages open development is essential. We are hopeful that this will lead to an open source approach to enable great innovators to take the ideas and needs generated through the network, develop them in conjunction with the network, and then share their findings across the network for the benefit of all stakeholders. Do you have any questions or ideas for collaboration?